After Laos we jetted into Hanoi, Vietnam to spend a month travelling from the capital city in the north down to Ho Chi Minh City in the South. We made plenty of stops along the way, visiting historic Hué, the World Heritage Town of Hoi An, the sand dunes of Mũi Né and the highlands. 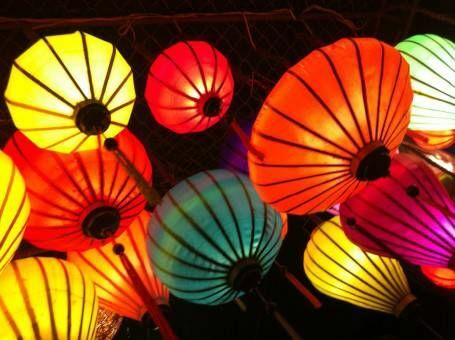 During our trip we also spent our first festive season out of the UK, celebrating Christmas in the mountains of Dalat and New Year’s in crazy Saigon. 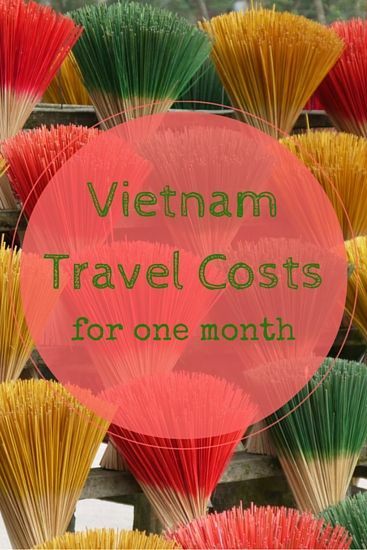 Here’s how much it cost us to travel in Vietnam for one month. We were busier than ever whilst visiting Vietnam, there’s so much to see and do you could easily spend twice as long as we did in the country and still not experience everything. We found that many of the attractions in Vietnam were cheap. In Hanoi we visited six museums, palaces and temples for under £5 per person. 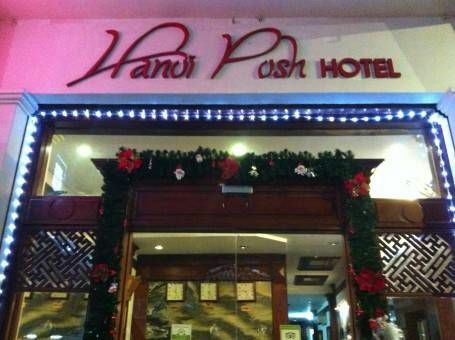 We visited three in Ho Chi Minh City for a total of £1.75 per person. 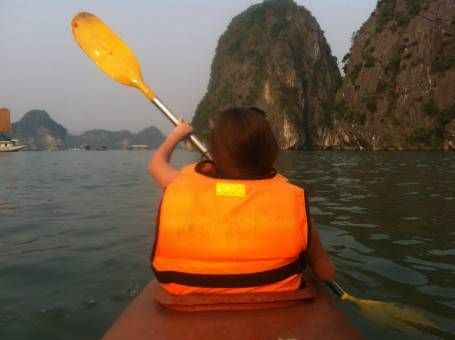 Our most expensive activity was our Halong Bay overnight boat trip. This included transport from and to our hotel in Hanoi as well as dinner, breakfast and lunch. This trip was originally priced at about £105 but after our complaints about the trip we received a partial refund. Taking organised tours is often the easiest way to see things in Vietnam and they’re actually pretty cheap in comparison with what we’ve seen in other countries so we ended up taking five tours while we were there. After Laos, Vietnam has been our cheapest country accommodation-wise; most hotels included breakfast which on the whole was good. All of our rooms were en suite private doubles with air-con (except in Dalat, where we didn’t need it), hairdryers and fridges. Our first Vietnam booking, Posh Hotel in Hanoi, turned out to be the best, the staff members were extremely attentive, the room was nice and it was in a great location. We usually booked accommodation in advance in Vietnam, choosing really well-reviewed hotels on Tripadvisor, Hostelbookers and Agoda. In Dalat and Saigon we booked our first night’s accommodation and then looked around to find good rooms for the rest of the week which worked really well for us since we managed to negotiate prices in person. 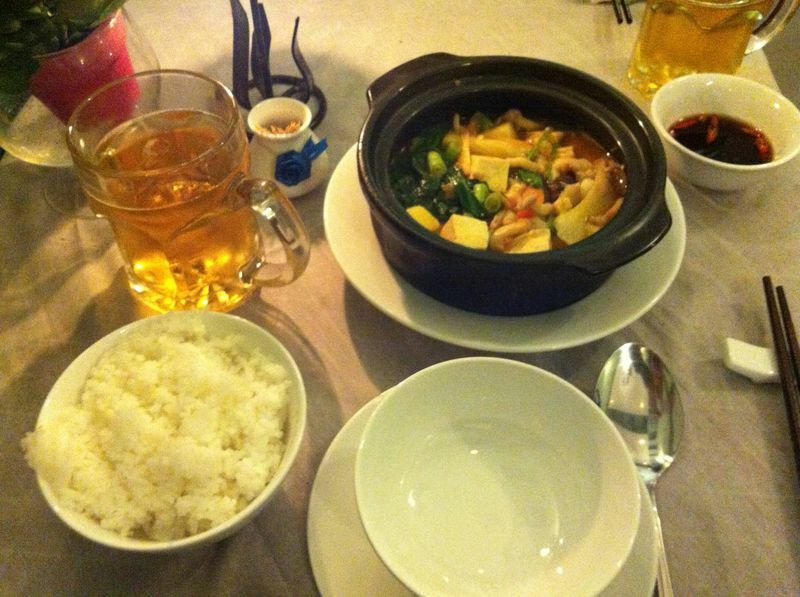 We had some fantastic meals in Vietnam such as the hotpot shown below, but we also had some horrid ones. Unfortunately, in our experience vegetarian doesn’t mean the same to the Vietnamese as it does to us; we ordered a number of supposedly ‘vegetarian’ meals that actually turned up with some meat in them; only once did the staff realise that this was really bad and apologised profusely, offering a discount. One way we managed to save money on our food costs in Vietnam was by getting a couple of baguettes for lunch and using our own jar of peanut butter or cheese spread to make quick lunches. Restaurants in Vietnam were cheap overall, we could usually pick up a meal for about £2 to £3 and a 500ml bottle of Saigon beer between £0.30 and £1. 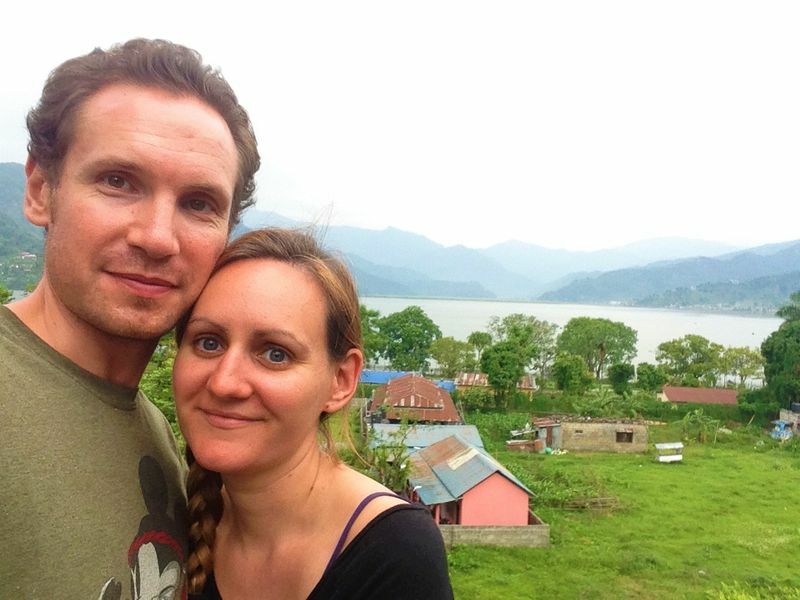 One thing that significantly increased our Vietnam travel costs was our flight from Luang Prabang into Hanoi. We debated for a long time whether we should cross overland or not but decided to fly in the end; we’d heard too many horror stories of people making the 24-hour land crossing to attempt it. We liked the sleeper train from Hanoi to Hué; it was clean and quiet and we were in a four-berth cabin with another couple. 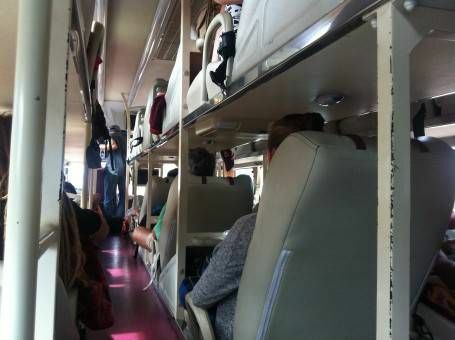 The experience was much more pleasant than riding the sleeper trains in Thailand. Sadly our sleeper bus in Vietnam was another journey from hell though; we spent 19 hours in cramped little ‘bed-seats’ amongst way too many unwashed bodies and in particular, feet. In Hanoi and Ho Chi Minh City we stuck to the advised taxis and they always used the meter which turned out to be very reasonably priced. One of the journeys we spent the most (per kilometre) on was our cyclo, we could have got a taxi for much cheaper and later learned that we could have got about an hour’s use from the driver for what we paid for a ten-minute ride. Another hefty addition to our Vietnam travel costs was our 31-day Visas which we organised in Luang Prabang, Laos, for £40 each. 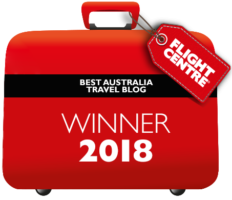 We later found out that you can get an e-Visa if you are flying into the country for just £30, however, we weren’t sure whether we’d be flying into Vietnam or crossing overland to begin with and you can only use the e-visa at airports. We had the usual laundry and toiletry costs, it was Christmas time so we also sent a few greetings cards, Amy needed a new pair of sunglasses after hers fell apart and since we were getting pretty cold I bought a new hoodie too. If you need to get your visa approval letter to obtain your Visa On Arrival in Vietnam then we’d recommend Vietnam Visa Pro, we’ve used them ourselves and were very happy with their service. Despite filling our time with numerous activities and covering lots of ground in Vietnam we still managed to keep our costs pretty low thanks mainly to the cheap yet high quality accommodation on offer. After Laos and Indonesia Vietnam is our cheapest country yet. We can’t wait to see what Cambodia has to offer! Here are our total costs for visiting Vietnam for one month. As always, we use Trail Wallet to track all of our spending; you can see all of our cost break-downs by country here. Wow! It looks like you did great in Vietnam, especially with your accommodations. It also looks like you did a lot of fun activities. As always, I love reading your budget posts. Happy travel. Wow you definitely get a lot for your money in Vietnam! Flights, activities, for just over a grand. Great job with your budget! Looks like you did a lot for less. I watch movies here in Latin America for about $5 USD double what you paid there. I’ll have to consider changing locations to Asia to make my money stretch further. Thanks Mig, the cinema was a great budget activity in Vietnam and a great way to relax. Overall we were impressed by what you get for your money in Vietnam, hotels were especially nice and super cheap – I’d recommend it! Well done guys. You did extremely well. Your posts bring back lovely memories. Vietnam is a great location and a lovely country. I like the way that when everything is broken down it leads to just $37.88 per day which would be €27.30. I went to a production show yesterday and cheap seats cost €25.00. It’s so cool to remember that travelling doesn’t really cost a lot when it’s broken down as we spend much, much, more when we’re in our home countries and we don’t even think about it! Im travelling to Vietnam this summer for 2 months and have roughly about £1,400 spending money. I was a little worried beforehand that this wouldn’t be enough but after reading this article it has reassured me immensaly! I hope you guys enjoyed Cambodia!! We loved Cambodia Jamie and we’re currently in living in Hanoi, Vietnam because we loved it here so much on our first visit 🙂 Have an awesome time in Vietnam; don’t miss the caves at Phong Nha, we’ve heard they’re spectacular and we’ll be checking them out for ourselves soon. Looks like you stayed at some good hotels at the budget end in Vietnam – please would you be able to share a list of hotels you stayed at? Hi Lee, it was quite a while ago so I don’t remember the exact names of most of them I’m afraid. There are tons of good quality, cheap hotels in Vietnam though, just have a browse on Tripadvisor and you should be set. Hi, thanks for reading and commenting. These costs are from our month-long trip which we took in December 2013; we also lived in Vietnam from Sept 2014 – May 2015 and found it to be even cheaper than it. Vietnam really is an affordable country, but of course you can easily pay up to 1,000 euro budget if you stayed in fancier accommodation and took expensive tours. I agree Vietnam can be cheap, especially if you travel as a pair and share your roomcosts. Hi Mitchell, it really depends on what your budget is. To be honest, we would be hard pushed to spend £5,000 in just over a month in Vietnam. You’d be getting some serious luxury there for that money. Not counting flights, we spent just under £1,200 in about 30 days for two people a few years ago. Having said all that, I would be wary of people you meet online asking you to bring money to their country though. I live in Hanoi and I can quite honestly say that I spend no more than 750 dollars a month all in – my apartment is 500 of that! Of course if you’re on holiday you’ll probably spend a bit more, but beer is as cheap as water here! Hi, thanks for reading and commenting, good job on keeping your costs so low!